The Lonsdale Professional Contest Fight Glove - 8oz is made of a soft, pliable top grade leather providing additional comfort and durability. By combining three special selected foams metacarpal and knuckle safety are increased without decreasing the "punch" power. A super smooth stern lining has been added to provide maximum comfort and dryness. This latest fight glove has been tested and approved by champion fighters that have traditionally used "boxer’s gloves" or "puncher’s gloves" providing the ideal combination of power and protection. 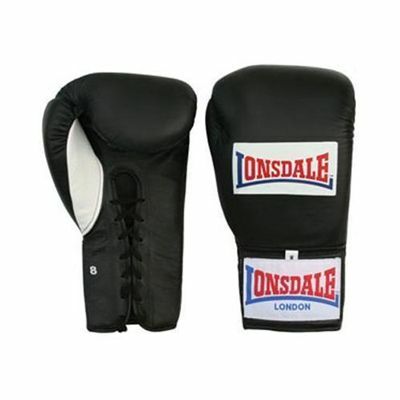 for submitting product review about Lonsdale Professional Contest Fight Glove - 8oz.